Tackle any tough job with a Nissan commercial vehicle. At our Nissan dealership in Durham, NC, we have over 30 years of commercial vehicle expertise. You'll find a variety of different Nissan commercial vans and trucks that are perfect for any occasion. Whether you're looking to expand your fleet of commercial vehicles or need something big enough for a specific job, we're here to help. Contact us about the Nissan commercial van or truck you'd like to finance today. New Nissan commercial vehicles come with a bevy of perks to make your time behind the wheel more enjoyable. 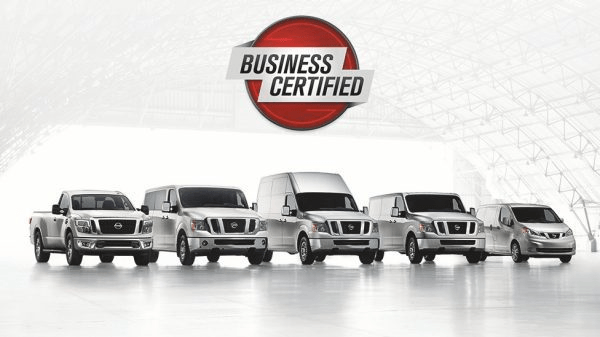 New Nissan commercial vans and trucks come with a 5-year/100,000-mile warranty, giving you greater coverage than what you'll find from many competing commercial brands. New Nissan commercial vans are tested for quality, reliability and durability. 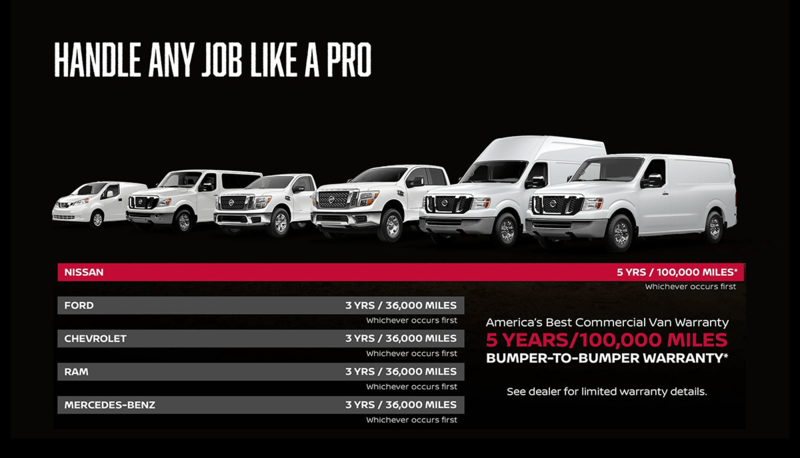 No matter what you need to haul, you can rest assured that our Nissan fleet vehicles will be more than up to the job. Every year the Nissan commercial lineup gets better, so schedule a test-drive to find the vehicle that's best suited to your business or commercial needs. 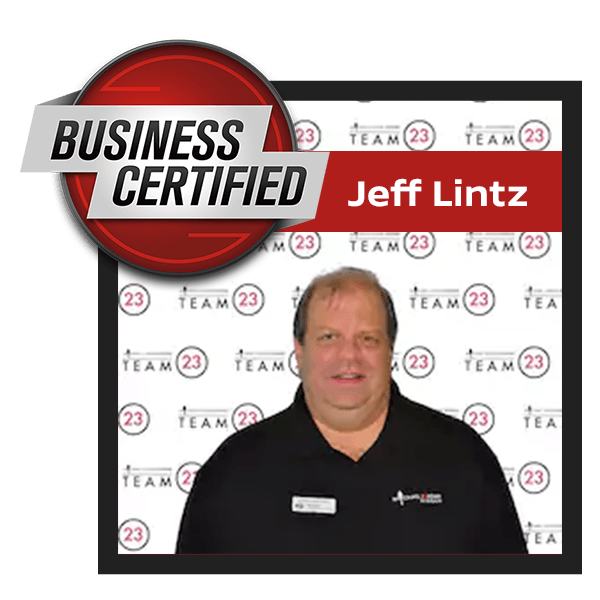 If you'd rather lease a Nissan commercial truck or van, you can easily do so through our Nissan financing team. We're now offering TRAC Leasing, which allows you to lease a vehicle that's used more than 50% of the time for business purposes. Learn more about the advantage of TRAC Leasing and why it may be a good option for you. Then, stop by Michael Jordan Nissan to buy or lease a new Nissan truck or cargo van today!